About 4 years ago Theresa May thought she had a bad cough and was aware of some weight loss. 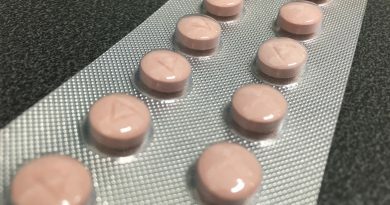 Initially her GP diagnosed her with type 2 diabetes for which she had to take tablets but it soon became apparent that Ms May actually had type 1 diabetes. For this she had to take two injections each day of insulin and she has now had to increase this to four. But, says Theresa May, she doesn’t think diabetes should stop her leading a normal life and she looks up to Steve Redgrave the Olympic Rower who says that diabetes has to live with him rather than him with diabetes. Normally type 1 diabetes, which is an immune system issue, is diagnosed before people reach the age of 40 and indeed 80% of cases are diagnosed before that age. However in Theresa May’s case she was diagnosed in her mid 50s and joined the 350,000 or so sufferers from type 1 diabetes – there are over 3 million who suffer from type 2. 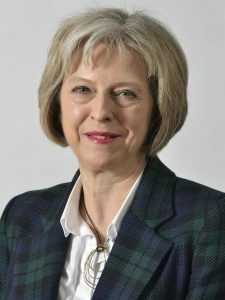 Looking back, Theresa May says she now recognises some tell-tale symptoms such as needing to drink more water and more frequent trips to the bathroom. Diabetes campaigners hope that Theresa May’s condition will encourage her to promote awareness and treatment of both sorts of diabetes and she has already taken steps in that direction – as MP for Maidenhead she has endorsed letters to schools encouraging them to make provision for those with diabetes. It may be that she also has more sympathy generally for those with any sort of disability. Theresa May is thought to be the first world leader to suffer from type 1 diabetes. People with diabetes, like Theresa May, regularly test their blood sugar level to make sure they don’t get a hypo – go into a hypoglycemic condition where they feel weak and shake. As well as injections, to regulate their blood sugar level diabetics need to keep up their food input – so Theresa May has admitted to eating nuts surreptitiously in the House of Commons. Ms May admits to breaking the strict rule of no eating in the House of Commons chamber and has sometimes discretely had to eat nuts without catching the speaker’s eye. Maybe the rules of Parliament will be changed to take account of diabetics. ← Lizzie Barclay, Founder of Write Mynd, shares her story of mental wellbeing in a digital age.